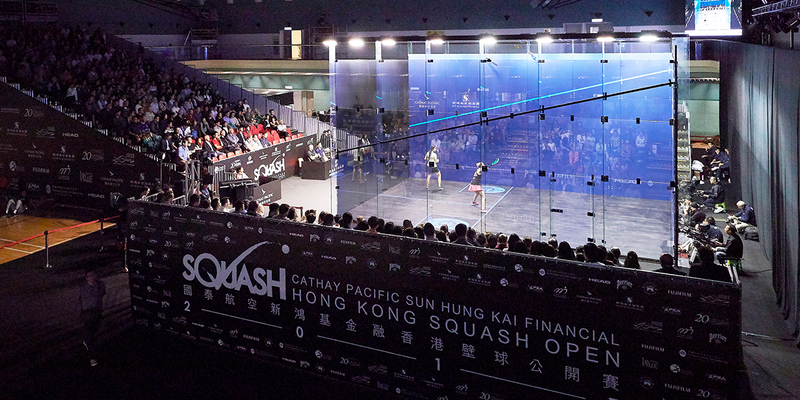 The 2018 Everbright Sun Hung Kai Hong Kong Squash Open has committed to offering equal prize money for the first time, with $329,000 split equally between the men’s and women’s draws at the PSA World Tour Platinum event, which comes up next November 19-25. These include the U.S. Open, Tournament of Champions, El Gouna International, British Open and now the Hong Kong Open, have all committed to equal prize money. ElShorbagy will be getting his tournament under way against Australia’s Ryan Cuskelly after receiving a bye into round two. He has been seeded to play World No.4 Tarek Momen in the semi-finals. While he is joined in the draw by compatriots Leo Au, Tsz Fung Yip, Chi Him Wong and wildcard Henry Leung, who plays World No.19 Raphael Kandra in round one. El Sherbini has been seeded to meet World No.8 Sarah-Jane Perry and World No.3 Nour El Tayeb in the quarter-finals and semi-finals, respectively. While last year’s runner-up Raneem El Welily is seeded to meet 2015 runner-up Laura Massaro in the quarter-finals, she is predicted to play France’s World No.4 Camille Serme in the last four. 2018 Everbright Sun Hung Kai Hong Kong Squash Open.